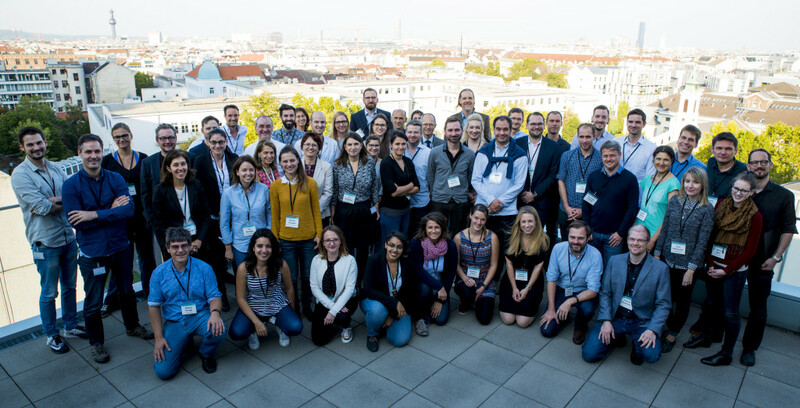 On 28th September 75 participants from 9 institutes in Vienna, Graz and Innsbruck gathered for the AustroMetabolism 2017 workshop at CeMM. Following the welcome addresses by Giulio Superti-Furga (Scientific Director of CeMM) and Markus Müller (Rector of the Medical University of Vienna), experts in the fields of metabolic regulation in health and disease met to share their diverse range of expertise, introduce their cutting edge technology platforms and facilitate new collaborations. Organized by Richard Moriggl (Veterinary University of Vienna), Thomas Scherer (Medical University of Vienna) and myself, this workshop was a starting point to catalyze a stronger metabolic research cluster in Austria to increase the efforts fighting some of the world’s most prevalent diseases, such as diabetes, cancer and chronic infections. We like to thank the workshop participants, the CeMM back office support as well as our sponsors for all their contributions to make this 1st AustroMetabolism workshop an enlightening success! We look forward to further strengthening the ties and support among our community.